Rhonda is an African heroine worthy of celebrating for high moral courage, and elevated as role model worthy of emulation while over 200,000,000 African women have succumbed to tress stress, passing money they need for good food and education to false and natural human dealers. 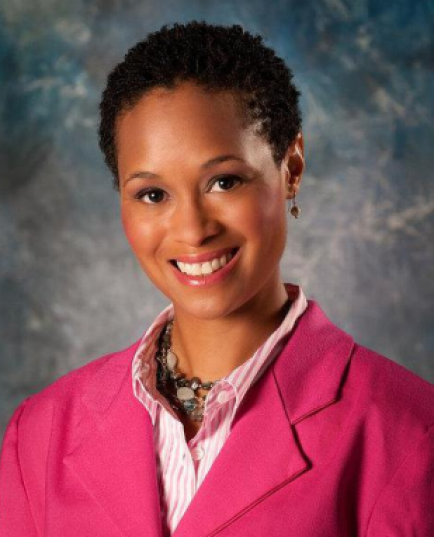 Rhonda Lee, a meteorologist thrust into the national spotlight in 2012 after she was fired from a TV station for responding to a viewer’s racist remarks about her Afro, has a new gig. The Vane reports that Lee announced Friday that she’s been hired as meteorologist by WeatherNation. Lee responded the same day: “Hello Emmitt–I am the ‘black lady’ to which you are referring. I’m sorry you don’t like my ethnic hair. And no I don’t have cancer. I’m a non-smoking, 5’3, 121 lbs, 25 mile a week running, 37.5 year old woman, and I’m in perfectly healthy physical condition. boys for that matter) need to see that what you look like isn’t a reason to not achieve their goals. What did Rhonda Lee say wrong? I think those that fired her probably were demented. In the working of the Law of Nature, she has been elevated! And I’m consoled with that. Rhonda said nothing wrong and it’s kudos to her that ignoring the repercussion that she knew would accompany her standing up for her rights, she voiced the thoughts of millions of African-Americans, especially women. In small and big ways, America continues to hold on to its slavery past when a white kid of fifteen would call a grown African-American male a “boy”, when a white man would strut into the slave quarters at night and mate with any African-American woman of his choice and later sell that same woman and his child to different owners. That is a past many white Americans pine for, a past that is gone forever, and a past with anything resembling it that the young woman, Rhonda would have none of. She deserves one of those African-American awards given for Heritage because what she did may be not as momentous as what Rosa Parks did – and that’s not trying to take anything away from Ms. Parks’ deserved place in history in any way – but Rhonda knew she would lose her job but that was not as important to her as losing her dignity. Thank God she now has another employer. But why would the employer fire Rhonda for this mature, intelligent, educative and non-racist reply, in spite of the provocative remarks about her? Thanks for sharing this. Femi. Thanks for this, and thanks to Tao for sharing. It’s amazing that America’s dark past continues to haunt its present but it’s also heartening that African-Americans like Rhonda have the courage and pride despite the financial problems they will face to stand up to this particular vestige of slavery. We salute Rhonda and women like her.